When you imagine your first day home from the hospital after having your baby, what do you picture? This post from Scary Mommy paints a pretty... well "scary" picture of panic and minor freak outs as the day goes on. The scariest part is that this isn't really that much of an exaggeration of how most new parents feel their first day on their own. After seeing your doctor or midwife weekly during the end of your pregnancy, being surrounded by nurses and hospital staff and your labor doula in the hospital during labor, and being able to hit the call light the second your or the baby need anything--you're on your own. We, as a society, can do better than leaving new parents feeling isolated. We have to do better. No mom should be frantically and desperately googling "Why is my baby crying?" in the middle of the night, trying to hold it together. No one with a newborn should feel like they have to clean up for company. No new parent should feel like they're totally on their own until a single follow up appointment with their doula, or their six week appointment with their OB, or until a friend drops by to snuggle with the baby. When you're trying to think of a gift for a new mom or new dad, the first thing that comes shouldn't be a material good like nook or cute top. It should be support. And that's exactly what postpartum doulas do. We support. We come into the homes of new parents, and we support them unconditionally and without bias through the fourth trimester, and sometimes beyond. We help new parents understand their baby's cues so that they can meet their needs. We're the instruction manual that people always say babies don't come with. We're sometimes the only person that fully respects their parenting choices and helps, rather than trying to change their minds. We help implement systems that work for the family's specific needs. We celebrate with them on the great days and we're there as a shoulder on which to lean on the hard days. Unlike a baby nurse, infant care specialist, mother's helper, or night nanny, we aren't just tasked with caring for the baby. We take care of the whole family. That means if one parent has to return to work sooner than the other, they can be comfortable knowing that the parent at home won't feel abandoned and alone, and the parent at work will return to a happy home and well cared for family. That means that the new parents can take comfort in the fact that their older children won't feel forgotten about. The postpartum doula can care for the baby while mom reconnects with her older children, or entertain big brother or big sister while dad feeds the baby. That means we are trained to recognize the signs and symptoms of postpartum depression and the differences between the baby blues and postpartum mood disorders. We won't judge, we'll be there for you. We'll provide you with resources and help you get through it. We also know the normal process of postpartum healing that the mother's body will be going through. We can answer the embarrassing questions with ease, let you know what's normal and what isn't, and give you the support that you need when healing from a vaginal or cesarean birth. Bridging the gap and easing the transition. Transitions are hard-- from couple to parents and from hospital to home. Your postpartum doula's job is to make that transition easier. We bridge the gap between the around the clock care at the hospital and being on your own. We help you ease into your new role and cushion any bumps in the road that you may encounter. When your 6 week visit feels ages away, we'll be there. When you find yourself counting down the hours until your partner gets home from work to give you a reprieve, we'll be there. On the days where it just seems impossible to go on, we'll be there. We'll be there until you're confident and comfortable that you can do this. We'll believe in you until you believe in yourself. In Louisville, Southern Indiana, and the rest of Kentuckiana, postpartum doula support is woefully lacking. While we're on the road toward better support during birth with all of our birth doulas and childbirth educators, the number of active postpartum doulas is far too low. That's why Louisville Area Doulas has made a commitment to giving your growing family complete support: through your pregnancy, through your birth, and through your fourth trimester. Your needs don't end when your pregnancy does. The availability of you support team shouldn't either. All of our labor doula clients receive 4 hours of postpartum doula support included in their labor package. Our Your Birth Experience prenatal class students get two hours complimentary. In fact, until the end of the year, we are giving a complimentary 2 hours of postpartum doula support to anyone that contacts us and sets up a no obligation consultation. Having support after you have your baby is so important, and we want everyone to know what professional postpartum support feels like and that it's an option for them. Louisville Area Doulas is leading the charge to do better, because our parenthood community deserves better. If you are a new or expectant parent in Kentuckiana and want to have the best fourth trimester ever, contact Louisville Area Doulas at 502-353-0198 or reach out to us by email at hello@louisvilleareadoulas.com today. 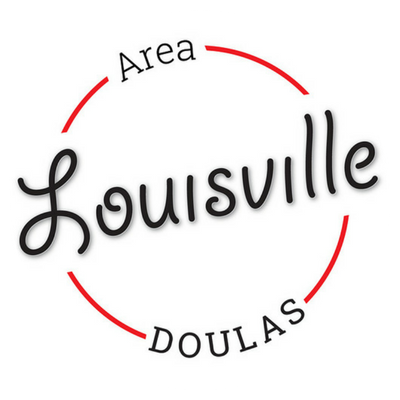 If you are interested in changing the way postpartum families are supported in Louisville and Southern Indiana by becoming a doula on our team, contact ProDoula to learn about upcoming trainings.